MADISON, Wis. (Legal Newsline) - Wisconsin has become the third state to pass a bankruptcy transparency bill which would require plaintiffs to disclose information and documents pertaining to all personal injury trust claims and intended future claims. The bill passed in the State Assembly on Thursday, slightly more than one year after its introduction in February 2013. The bill now sits on the governor's desk awaiting approval. If approved, Wisconsin would join Ohio and Oklahoma as states with legislation on asbestos trust transparency. 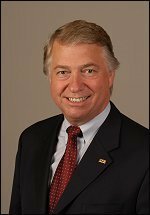 Wisconsin Civil Justice Council President and National Federation of Independent Business (NFIB) State Director Bill G. Smith explained how the bill will help provide responsibility and fairness in personal injury trusts. "It will certainly help maintain financial responsibility in these trust accounts," Smith said. Likewise, he said it also provides responsibility in the courtrooms, adding that "we're putting our faith in the court," by giving judges the power to provide fairness and prevent double dipping. "We do think the courts should act fairly, predictably and responsibly," Smith said. However, a group of Democrats in the Wisconsin Senate have formed a campaign called Veterans For Veto in an effort to prevent the bill from being signed into law. Smith explained that the transparency trust issue was difficult to pass as some opponents argued that the bill would victimize veterans. He said opponents made it seem like proponents of the bill opposed veterans. "It's just not true," Smith said. "That was one of the most frustrating parts about working on this legislation." Milwaukee Journal Sentinel reports in a PolitiFact article that Democratic Senate Minority Leader Chris Larson issued an email on March 12 writing that the Republican-controlled Wisconsin Senate approved a bill "denying veterans the right to recover their medical costs for cancers they developed while serving their country." According to the article, opponents of the bill - including the American Legion, Wisconsin Veterans of Foreign Wars and the Military Order of the Purple Heart - are concerned that veterans may collect less money, as some of the funds in trusts are depleted. Opponents also fear that transparency requirements could postpone trials, risking the possibility that some mesothelioma victims could die in that time frame and would therefore hurt the chances of the claimants to collect full damages. Despite the backlash, Smith said the bill does not delay justice. "Legislation has been misrepresented as delaying justice or denying justice," Smith said. "It really doesn't affect the process itself beyond that disclosure requirement." Smith said the purpose of requiring transparency in personal injury trusts is to protect veterans and prohibit attorneys from profiting from the system. "They were never created to compensate attorneys," Smith said. "They were created to compensate those who get this horrible disease." "The problem here is, you want the opponents to understand that we're trying to protect the assets of the trusts," he said. "To allow the lawyers to start picking their compensation out of these trust accounts is just wrong." Smith added that the bill did have its veteran proponents. Supporters include the NFIB and the AMVETS veterans group, among others. "To be generous, I think we can say that the veteran community did not just speak with one voice," Smith said. "There were those who felt just as strongly about passing it as those who were opposed to it." According to an analysis by the state's Legislative Reference Bureau, "This bill creates discovery and scheduling requirements for certain types of tort actions and limits a defendant's liability for a plaintiff's injury under certain circumstances." If signed into law, the bill would prohibit plaintiffs from claiming privilege to trust claims materials and trust governance documents. "The plaintiff may not claim privilege or confidentiality to bar discovery under this paragraph and shall provide consent or other expression of permission that may be required by the personal injury trust to release information and materials sought by the defendant," the bill states. According to the bill, plaintiffs who file tort actions must disclose whether they have filed or anticipate filing claims against a personal injury trust within 30 days of the action. The bill defines a personal injury trust as "a trust or compensation fund that is established pursuant to a bankruptcy or other legal action in order to compensate persons who file claims as a result of harm potentially compensable in the plaintiff's tort action, for which the entity that established the personal injury trust is alleged to be responsible." The plaintiff must provide all documents, records, trial testimonies, affidavits, depositions, work history medical and health records, discovery materials and all other information relevant to trust claims. If a claimant indicates possible future claims, the court would be required to stay the immediate proceedings until the plaintiff produces final executed proof of claim. The bill would also allow defendants to identify any personal injury trusts not named by the plaintiff, but against whom they believe the plaintiff has a legitimate claim. In order to do so, the defendants must provide sufficient evidence to meet the personal injury trust distribution procedure requirements in order to file a valid claim as well as the amount of money the trust should pay for the claim. The plaintiff would then either file a claim with the trust or filed a "written response with the court as to why there is insufficient evidence to permit the plaintiff to file a claim in good faith under the personal injury trust distribution procedure identified by the defendant," the bill states. If the court finds a good faith basis, the plaintiff would be ordered to file a claim against the trust. By providing transparency with trust information, the bill would allow parties to "prove alternate causation of, or to allocate liability for, the plaintiff's injury." "The bill requires the court to enter into the record a list that identifies each personal injury the claim the plaintiff has made against a personal injury trust," the analysis states. Lastly, the defendant is entitled to a setoff in the amount of any money the plaintiff received from a personal injury trust for a substantially similar injury. "If the immediate action proceeds to trial before the plaintiff's claim against a personal injury trust is resolved, the bill requires the court to establish an attributed value to the plaintiff's claim against the personal injury trust and to afford the defendant a setoff in that amount," the analysis states. The bill does not apply to compensatory benefits pursuant to worker's compensation or veterans benefits.